The Trumpet has called my name. While thinking of the many things, we didn’t get to say . I didn’t want to die . And all the fun we had . Would take the place of me . “This is eternity , And all I’ve promised you . But here life starts anew . There ‘s no longing for the past . You have been so faithful , So trusting and so true . You knew you shouldn’t do . For every time you think of me , I ‘m right here , in your heart . Do not stand in my grave and weep. The Lord’s trumpet called my name. In loving memory of Opeoluwa Afolabi-Ogungbesan. Posted on February 12, 2014, in Uncategorized. Bookmark the permalink. 27 Comments. All is well x we can pray for his family to stay strong ! The Lord is our strength ..
What happened is a lesson to us all!so in all we do we should think about God before doing anything. God of all comfort,comfort nd strenghten d bereaved family,TVC family,friends nd well-wishers.Wipe away the tears frm their eyes nd heart with d precious Blood of ur Son,Jesus Christ.In this hour of bereavement,may they experience your manifest Presence,nd hear ur voice saying,’I LOVE YOU’. ‘CATCH THEM YOUNG FOR JESUS’.Was he able to make a decision for JESUS?Will be glad 2 know dat he did. Dear Children,remember ur Creator in d days of your youth.Jesus is the WAY,the TRUTH,and the LIFE.No one comes to d Father but by Him.There is no other name under Heaven given to men by which we must be saved except through JESUS.Yes,Salvation is found in no one else except in JESUS! Heaven is a prepared glorious place,and d visa requirement is Jesus Christ,the Son of God….As many dat receive Him and believe in His name,are given the right 2 be called the children of God(John1:12).Heaven is for d children of God! For God so loved d world(you and I),that He gave us His only begotten Son,JESUS CHRIST,that whosoever believeth in Him should not perish(in Hell),but have everlasting life(in His Presence)…….John3:16. 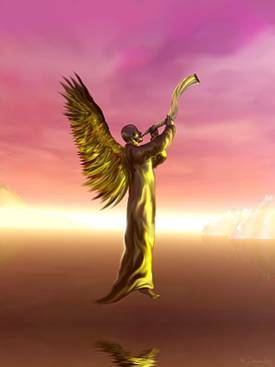 All should be ready 4 d Trumpet call.It will be anytime,through’death’or through’rapture’.God the Father,has d final say.GET READY!!! What a great loss!Gracious Lord,we ask 4 ur great grace upon his parents,2 help them in this hour of great need. Gone with d wind so soon,with unfulfilled dreams.Na waooo! This is breaking news,although we were not told his age nd how he died.I guess it doesnt really matter now.Lord,I ask for special comfort for d mother,d ‘chief mourner’.Ease dat pain dat cuts through her heart as she goes down memory lane(pregnancy,delivery,sleepless nights of infancy….etc).Balm of Gilead,heal her inner wounds nd broken heart in the name of Jesus. It is unfortunate that a thing like this happened to this great school.the deed has been done.may Almighty Allah console the parents of Opeoluwa. God please Comfort his family ,Only you great comforter can show them mercy at this time of their needs!for others that are alive,God will keep them. Who/What can separate us frm the LOVE OF GOD?Is it death?Absolutely nothing!May we experience God’s love in this hour of bereavement,Amen! The last enemy 2 b conquered is death.Ope has conquered death.O death,where is ur sting? O grave where is ur victory? Death is only a doorway to ETERNITY,eternity in Heaven or Hell.The choice is yours!CHOOSE JESUS! In this hour of bereavement,may we experience the Love of God on this day of love,for God is love!!! Loving Father/God,in a day like this,nd inspite of this tragedy/trial,we declare that we love You.Thank You loving us nd expressing this love through the death of ur Son,Jesus Christ.